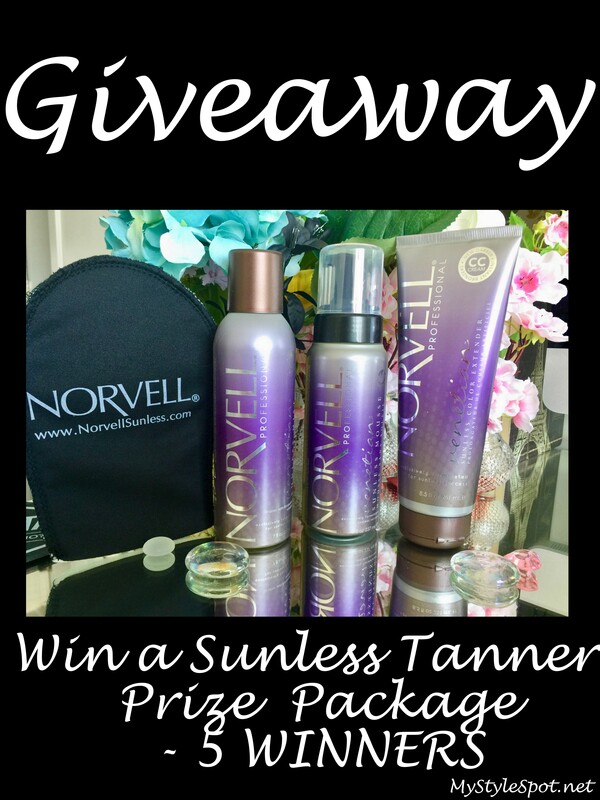 The Lovely people of NORVELL Professional are letting me giveaway 5 Exciting prizes to 5 of my lovely readers, including 1 Grand Prize who will WIN ALL OF THESE GOODIES! I have a BFF girls weekend trip to FL planned for mid-March, so I’ll definitely need to get a faux glow going to hide my winter paleness! I would love to have glowing skin on my son’s birthday. Would love to have an awesome tan for opening day at baseball. I would love to have a great tan for my BFF’s wedding. My daughter graduates college in May and I would love to be able to go sleeveless and short for the ceremonies. A family reunion coming up in the Spring. I would love to rock a beautiful tan because I have not seen some of these people in many years..
We are going on a cruise and I like to be tan before I go. I will be going to North Carolina to see my daughter and granddaughters, and I need to definitely cover up this ghostly body! Products absolutely sound amazing! Would love to try them out! My daughter is graduating soon. She uses these products and needs some more. I have a wedding to attend. Oh I need a good tanner I have lupus so being in the sun makes it worse so I have to use fake tanner to look good. This would be awesome Thanks for a chance. My daughter is getting married and I so need some color. This would be great to ha r.
My 10 yr anniversary is this month. I love tanning but can’t go to the tanning bed or tan outside due to sensitive skin:( I HAVE to use sunless tanning products, I live off them! Thanks for the opportunity! I take an adult hip class and I would love to rock a tan for a recital on June 3rd.